Following the news that Screen Training Ireland has officially rebranded to Screen Skills Ireland, the agency has also launched a brand new ‘Careers in Screen’ portal, a new service that proactively maps career paths within the industry. 17 Apr 2019 | This deadline for applications to the course is April 19th. 29 Mar 2019 | Deadline today. 15 Mar 2019 | The workshop takes place 2-4 April 2019 in the Galway Bay Hotel, Salthill. 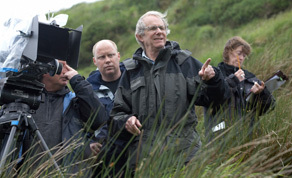 11 Mar 2019 | The course will be taught over four days by Line Producer Brian Donovan. 01 Mar 2019 | Deadline for applications is March 8th. Unsure what film / television job best suits you and your skills? Check out our guide to on-set roles.